The club has two homes and two times, but always on a Friday night – every Friday night, very much throughout the year. 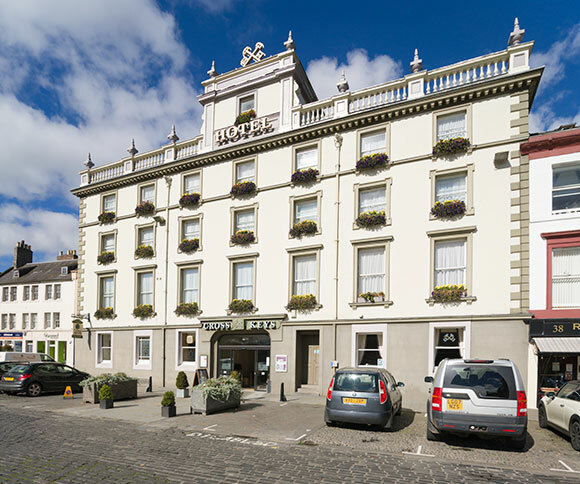 The earlier evening acoustic meet is in The Oak Room at the Cross Keys Hotel, which fronts onto the town square. It is a cabaret-style evening held in a comfortable lounge, with food and drink available from the bar. It runs from 8.00 pm to 10.30 pm. This is a really relaxing place to hear a diversity of musicians and singers, and a great venue for performing. 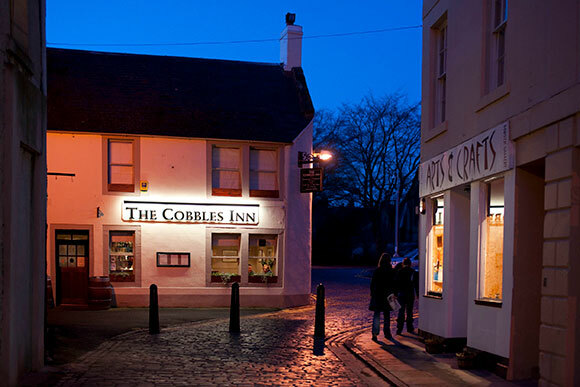 The Cobbles Inn pub session runs from 10 pm, when you may find acoustic traditional music kicking things off. From 10.00pm you will find two or three singers who anchor the session. Although many pub regulars refer to us as ‘the band’ we are not! We are there to encourage others to join in, stand up and sing with accompaniment from our musicians. By 11pm we usually welcome musicians and singers from the Cross Keys and also from other Borders activities (Friday is a popular night). It’s not unusual for performers to arrive after midnight if they’ve been to gig first. The night ends by 1am. Guidelines for the Cobbles Inn: please don’t bring large gear or anything which needs mains power without arranging beforehand, as this is a public lounge bar/dining room and the club and The Cobbles management have co-operated to install an excellent partly built-in HK system. Please do bring your own instrument lead, capo, instrument stand or clamp and let us help you plug in or use one one of the microphones.